I doubt the cold winter’s coming at the middle of the hot hot summer, but I doubt the opposite at the middle of the winter. I started to recording the first day I closed the window of the office, and the first day I turned on a heater. 12, Oct: I closed the window since it is cold to keep it open. 12, Nov: I turned on the heater. I am assuming this way of recording is much easier for me (or for us) to recognize the coldness of winter’s coming on specific date than to record the temperature. I’ll write down to my diary as “I turned off the heater”, and “I opened the window”, after the long winter which makes me feel like it never ends. 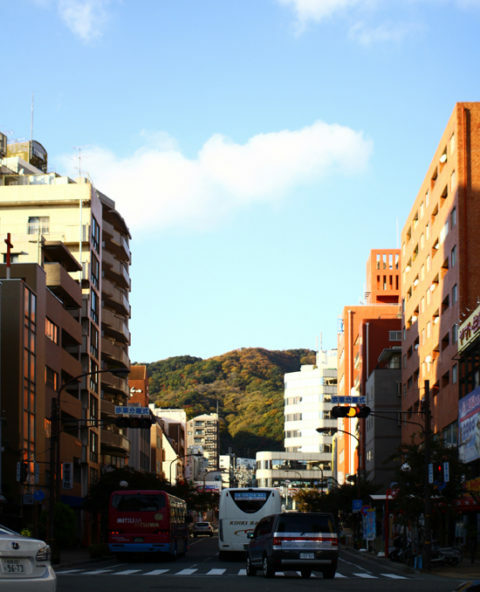 Photo: A nice contrast of the city and the nature in Kobe.